We are an all-girls secondary school in the village of Rosbercon. Rosbercon is a small village on the outskirts of New Ross town. We are a five minute walk over the bridge from New Ross. Facilities at the school have been and are continually updated and modernised to meet the ever-changing needs of pupils and their families. 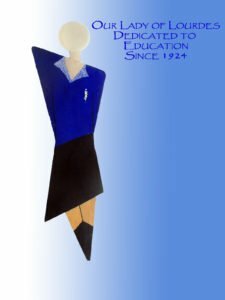 In 1997 The Wexford School of Music opened it New Ross School at Our Lady of Lourdes, Roberson and Bishop Forristal announced that the Diocese of Ossory was to take over responsibility for the Trusteeship of the School l from the Holy Faith Sisters. In September 1998, Our Lady of Lourdes opened with its first lay Principal and a Board of Management.